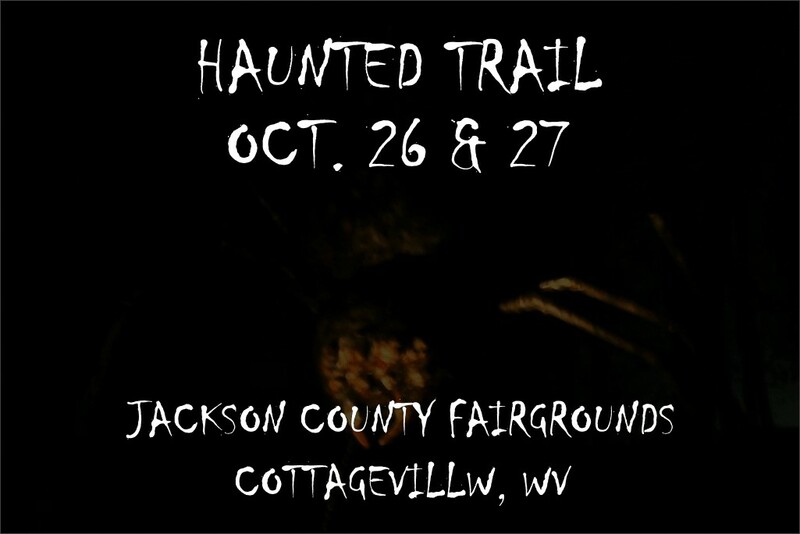 Come and join the fun and terror of our 10th annual haunted trail. The trail is approximately 1/2 mile long and an easy walk, but you never know what may jump out of the bushes or be lurking in the lake. This trail is not recommended for young children and children under the age of 10 must be accompanied by an adult. If being scared isn’t your thing or you need something fun for the little ones, then check out our “Not So Spooky Horse Drawn Wagon Rides”, the Boo-tique for face painting and hair coloring, or our photo booth. From Charleston, WV – Take I-77 North to the Ripley exit. Turn left off the exit ramp and follow Route 62 toward Cottageville. 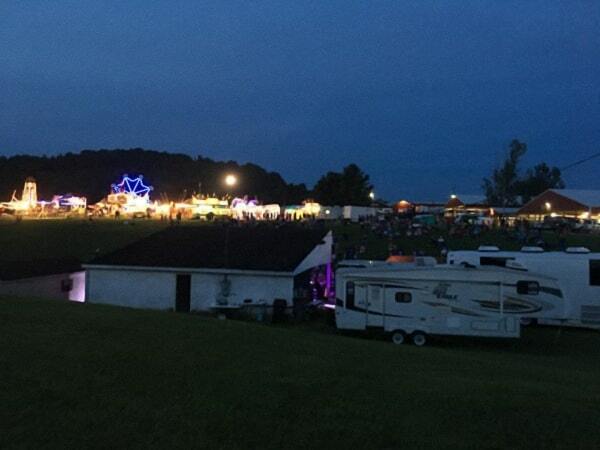 Go approximately 7 miles to the Jackson County Junior Fairgrounds. Tickets will be sold in the McDonalds Building. From Parkersburg, WV – Take I-77 South to the Ripley Exit. Turn Left off the exit ramp and go to the Stoplight. Turn Right onto Route 62 toward Cottageville. Go approximately 7 miles to the Jackson County Junior Fairgrounds. Tickets will be sold in the McDonalds Building. From Huntington, WV – Take Route 2 to Point Pleasant. At the 2nd stop light turn right to stay on Route 2. Go approximately 15 miles and turn right onto Route 62 East. Go 2 miles to the Jackson County Junior Fairgrounds. Tickets will be sold in the McDonalds Building.